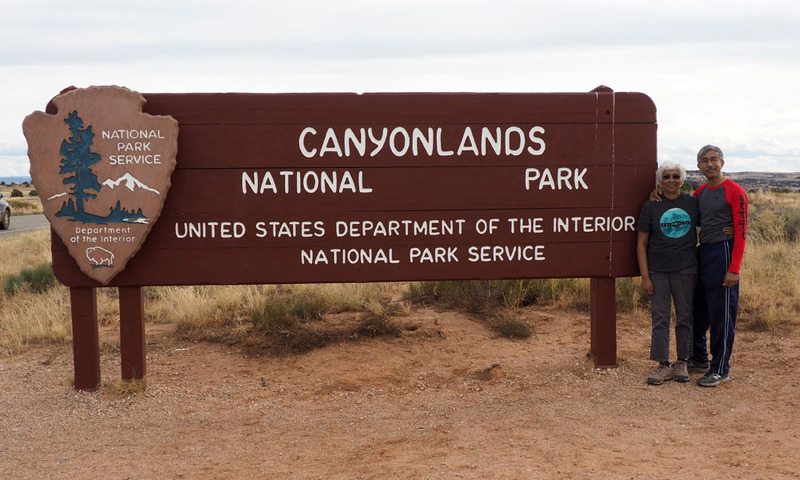 It is raining heavily outside this morning as I type this blog, but that was not the case yesterday when we went to Canyonlands National Park. The day did not start exactly as planned. As we were driving out of town, an indicator lit up on the dashboard indicating low air pressure in one of the tires. 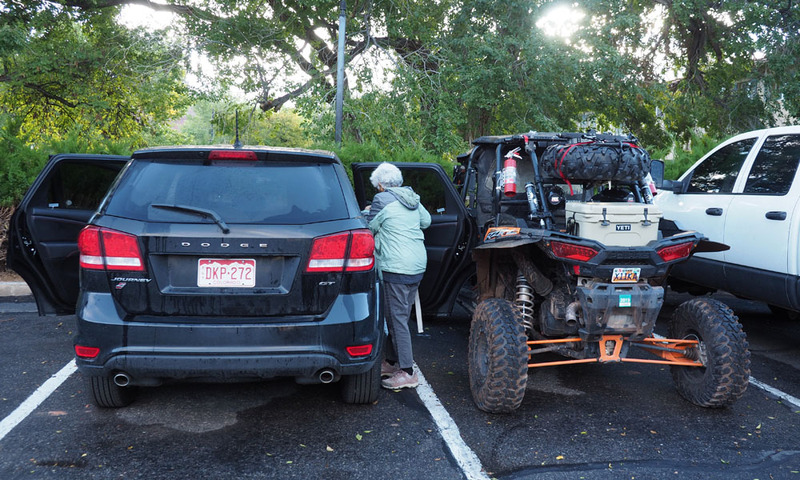 We had to head back to a tire repair shop in town to find out what was happening. Turns out there was a nail in it. It took about an hour to address the problem. 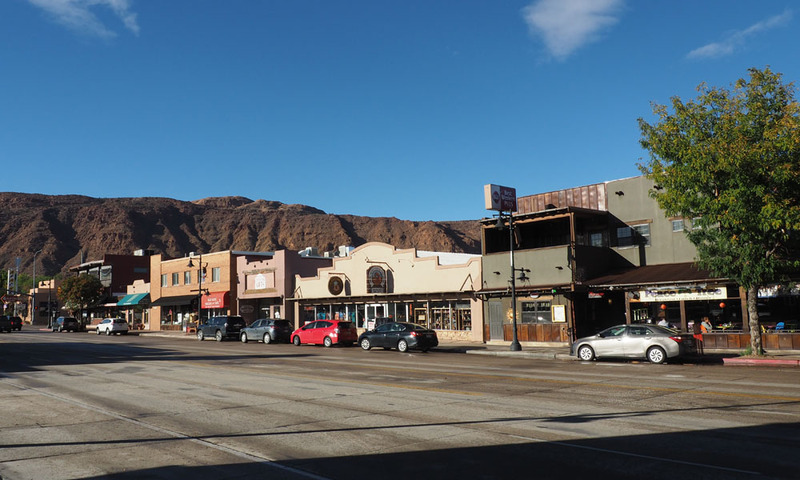 That was the opportunity for us to take a walk through the small town. It took little time to get from one end of town to the other. 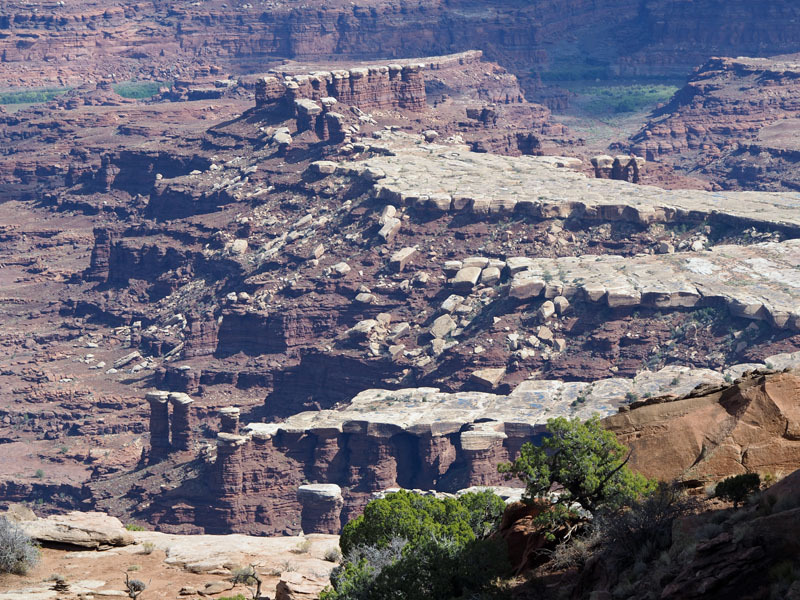 Moab is geared for tourists who have come for outdoor activities. There are lots of bike shops, and you see four wheel driven vehicles like the one below all over the place. There are coffee shops and restaurants all over downtown. 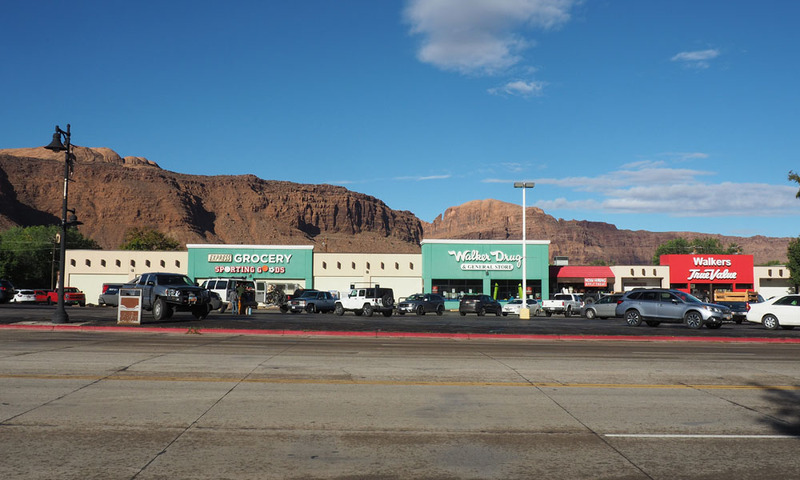 The town is nestled between the hills. 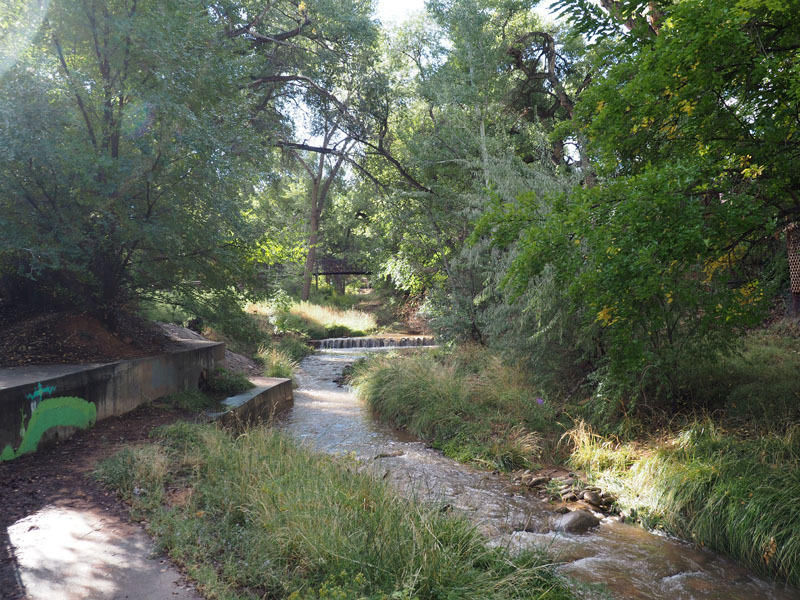 There is a stream with a walkway beside it, and a nice little park. 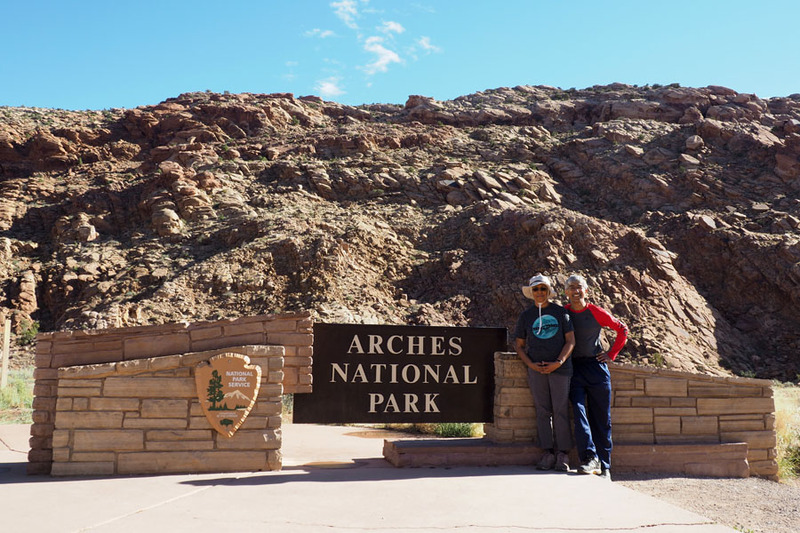 On the way to Canyonlands we stopped to take the obligatory park picture at the entrance to Arches. We had neglected to do that the previous day. 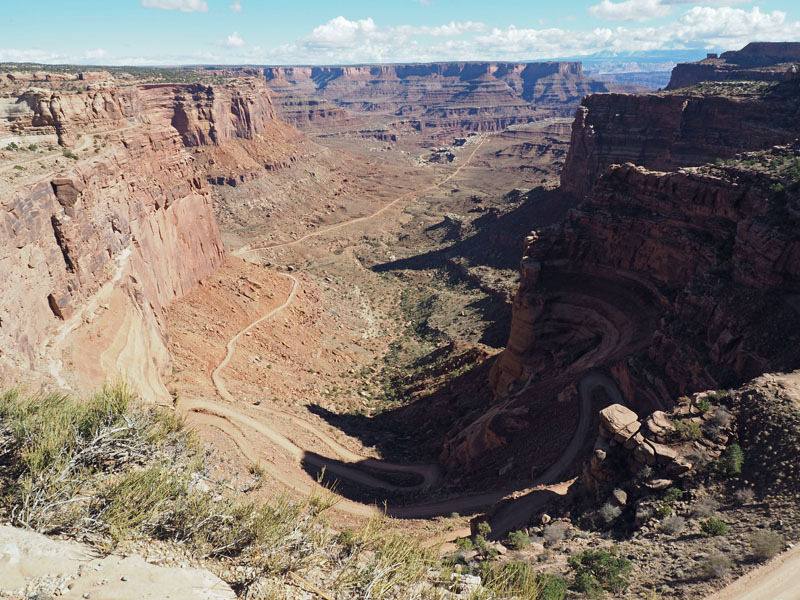 The pictures below were taken on the road into Canyonlands. 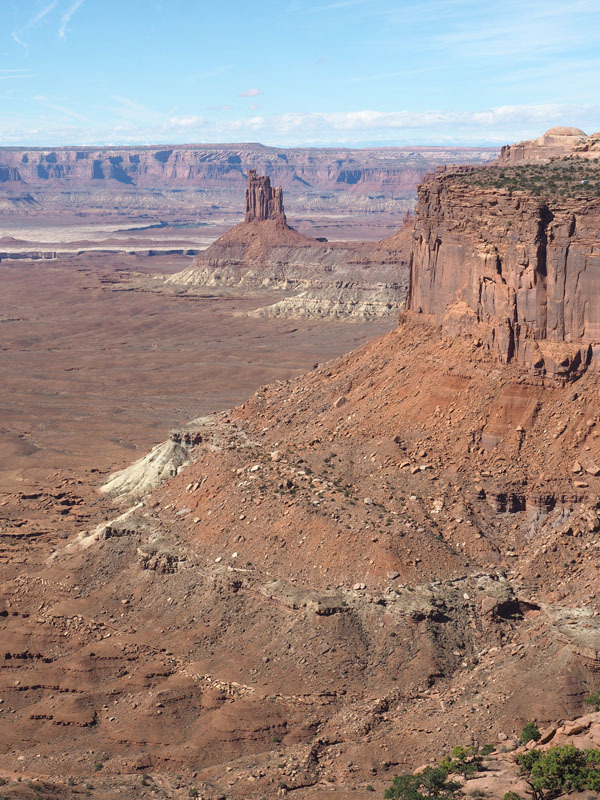 The two mesas behind are called the Monitor and the Merrimac. 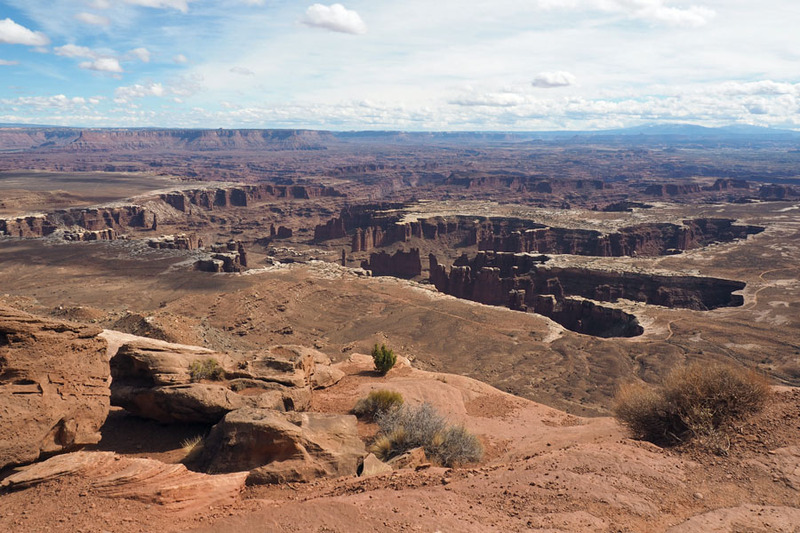 This was the view of Shafer Canyon in the park. 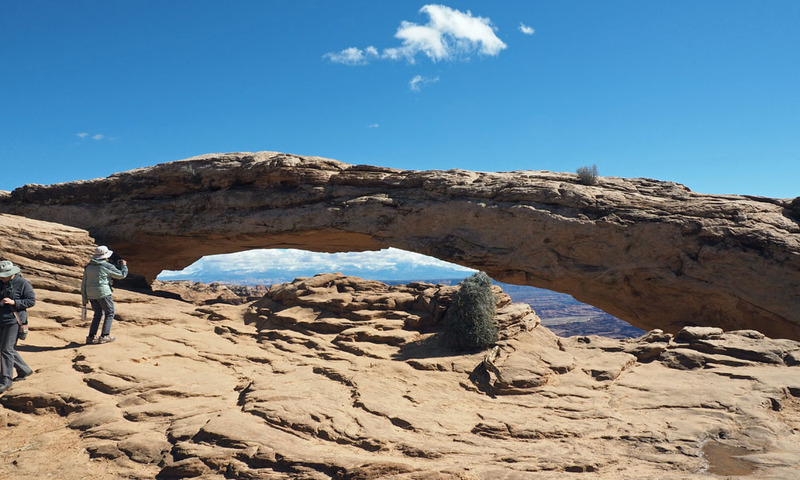 This is Mesa Arch. 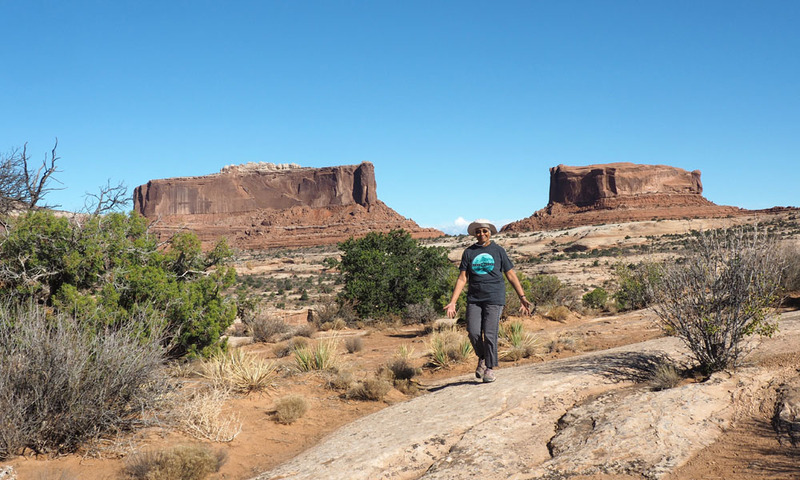 The La Sal mountains are barely visible through the arch. 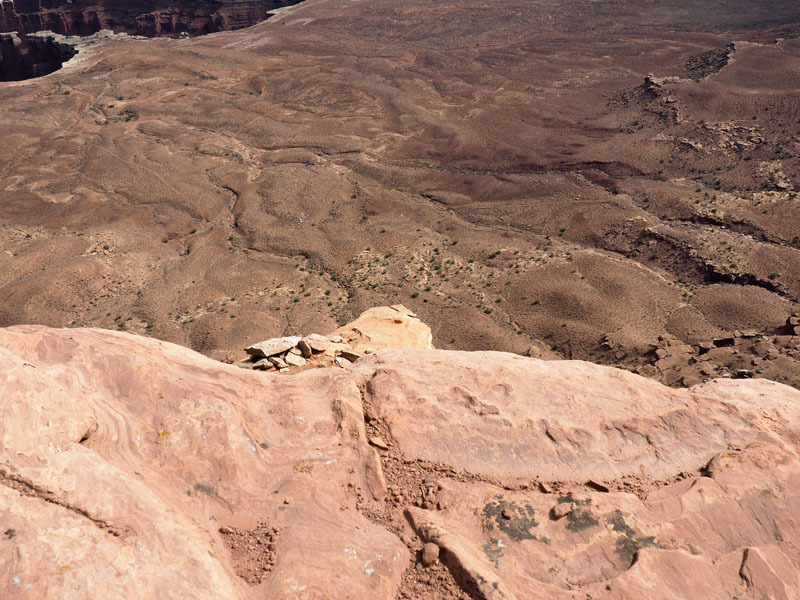 This is a view of the canyon where the Mesa Arch is located. 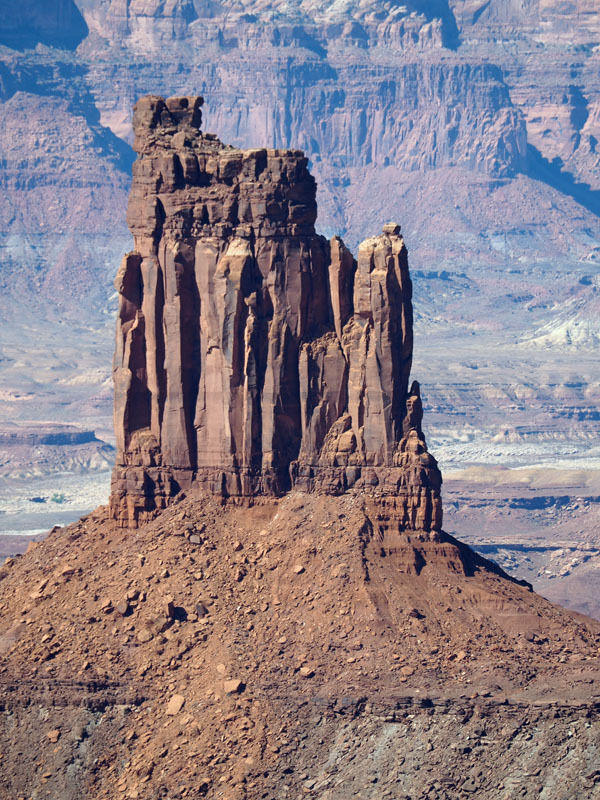 The pictures below are of Candlestick Tower. This is probably Gooseberry Canyon. We stopped here for lunch. The following pictures were taken during the hike from Grand View Point Overlook. 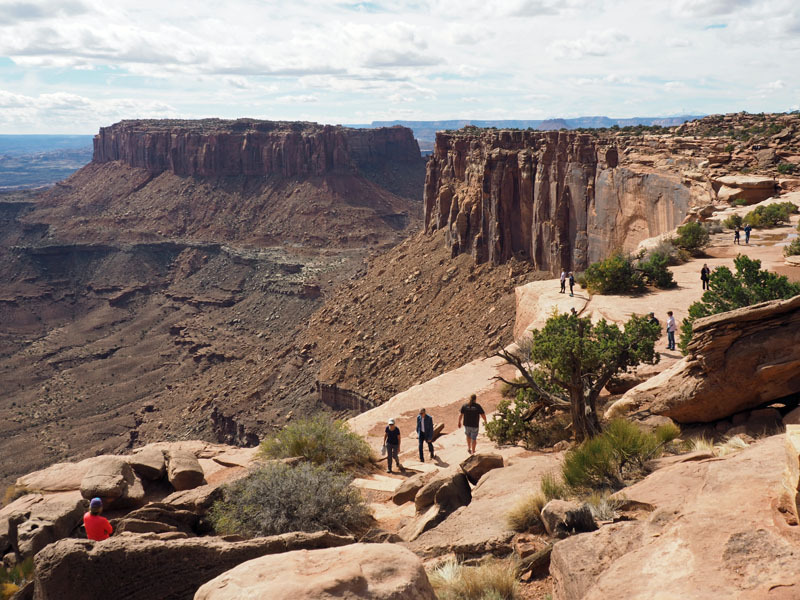 We walked a couple of miles around the rim of the canyon. 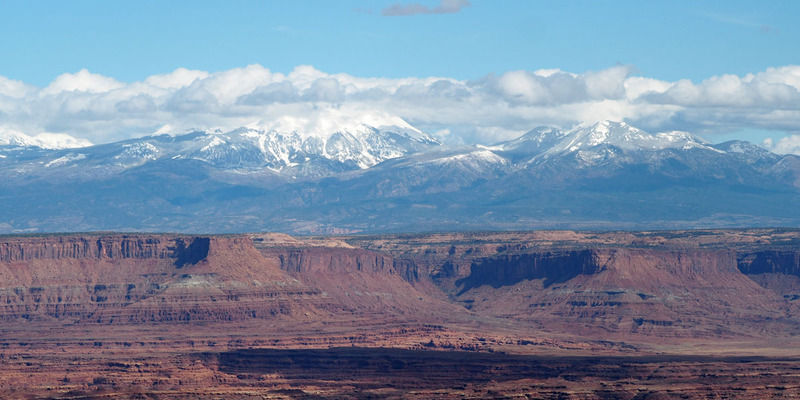 La Sal mountains in the background. It was a long way down from this point! 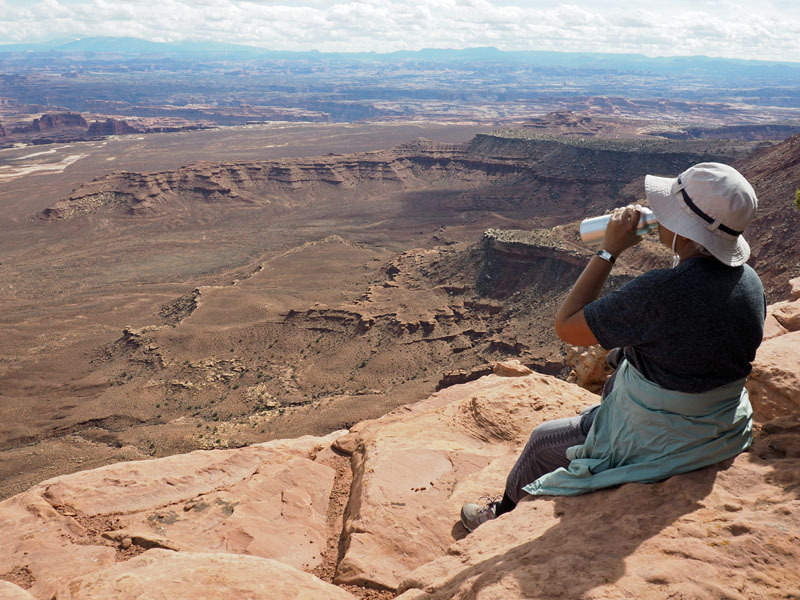 This picture was most likely taken from the Buck Canyon overlook. 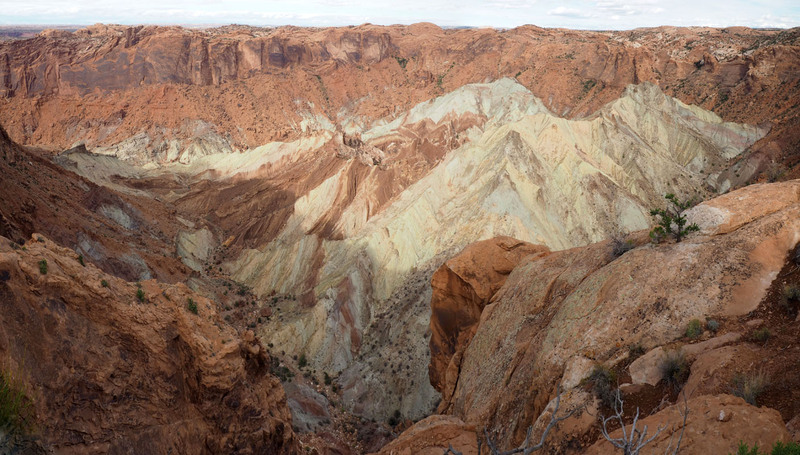 We drove to Upheaval Dome, and walked about a couple of miles out on the trail (Teresa did not come all the way) so that I could get this picture. 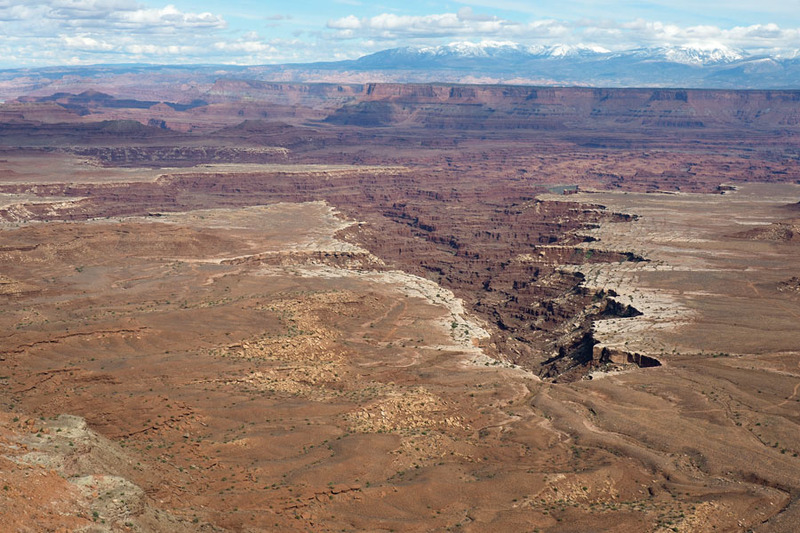 It shows that the surface is fractured, and layers of rock from below have pushed their way out. There are a couple of theories regarding how this happened, but they are not sure about the actual cause yet. The hike had some difficult sections, which was the reason why I went the final distance by myself. There was a point at which I was trying to grab the rock next to me just because I was nervous. The picture below shows one of the easier challenges along the way. The obligatory park picture! 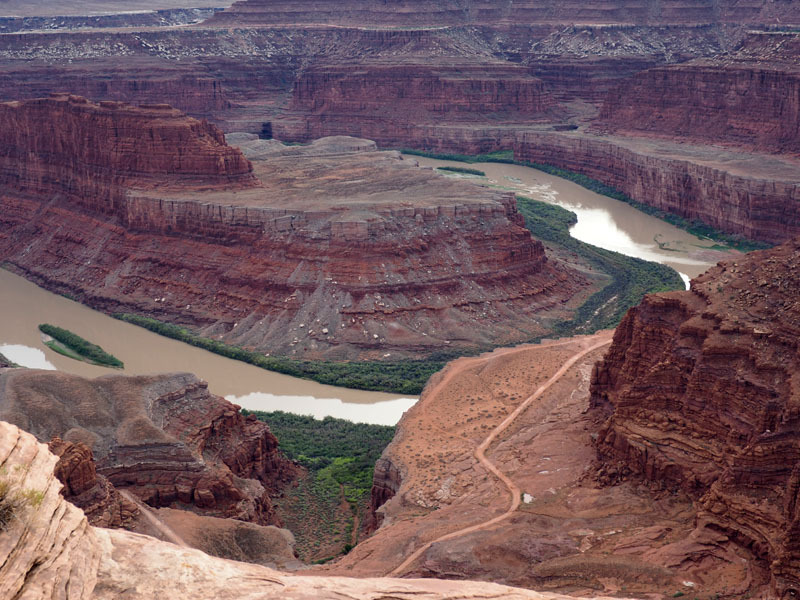 We then drove to Dead Horse Point State Park to get a view of the meandering Colorado river. 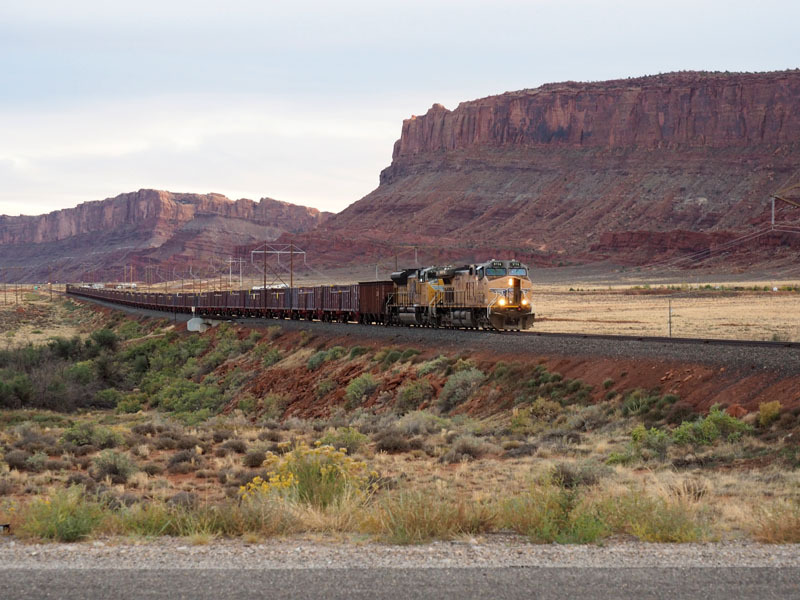 I saw the train coming from a distance as we were crossing the tracks. I turned the car around and waited near the railroad crossing to take this picture. 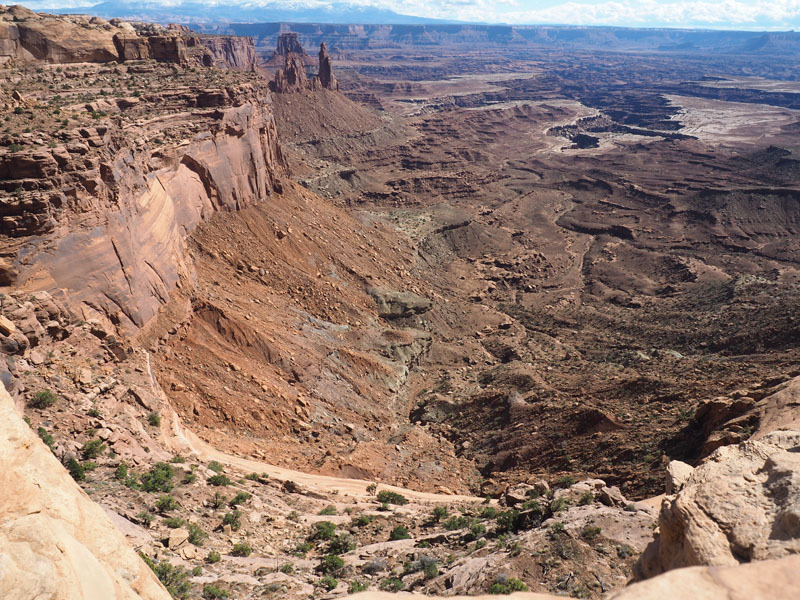 Canyonlands National Park had a very different feel from Arches. We drove for long distances to get to places, and then we walked shorter distances when we got to those places. Of course, the views were also quite different in these parks. It was another long and somewhat tiring day. We had walked about 7 miles over the course of the day, and some of it had been over difficult terrain. We had dinner at a place where I could satisfy the craving for spaghetti and meatballs that had started early in the day. And they did have beer! We are going to take it easy today. 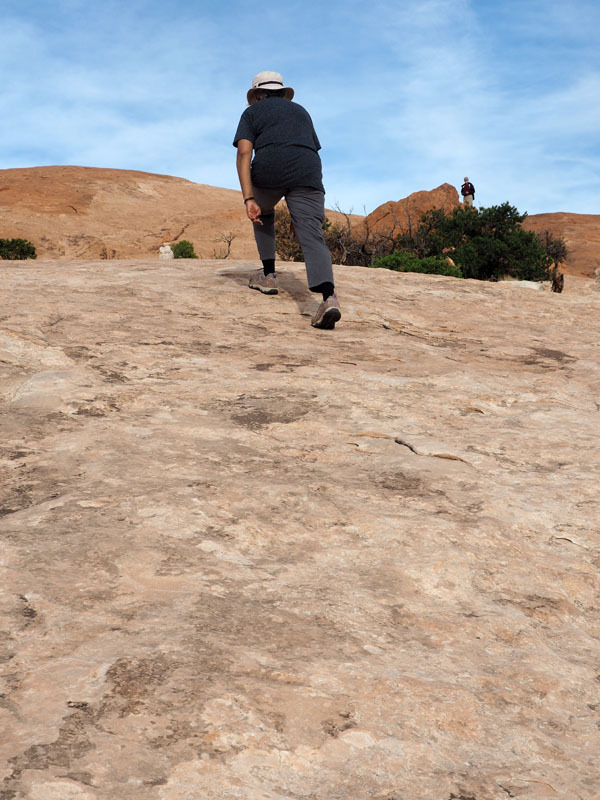 I do not think much outdoor activity will be possible because the rocks are likely to be slippery. We will head towards Monticello in a little while. 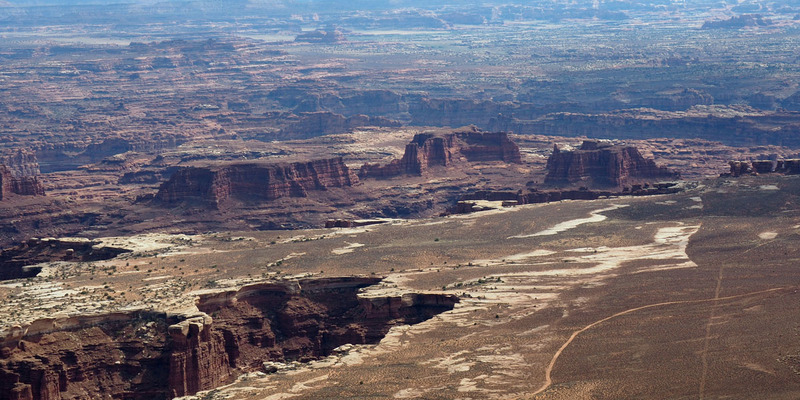 We will try to stop at the Needles district of Canyonlands.